Q: Where is Parker located? 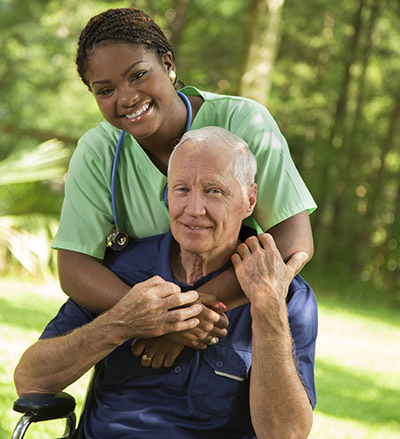 A: Parker has six New Jersey locations, including four nursing care residences, Parker at Landing Lane (501 Easton Avenue, New Brunswick), Parker at Monroe (395 Schoolhouse Road, Monroe Township), Parker at River Road (1421 River Road, Piscataway) and Parker at Somerset (15 Dellwood Lane, Somerset); an assisted living residence, Parker at Stonegate (443 River Road, Highland Park) and a post-acute rehab (Parker at Somerset). We also have two Adult Day Center programs: Parker at The Pavilion (443 River Road, Highland Park) and Parker at Monroe Adult Day Center (200 Overlook Drive, Monroe Township). Click here for directions to our locations. Q: What residential accommodations are available? A: The nursing care residences have private and semi-private rooms. Upon request, a resident may change from one type of accommodation to another, as suites becomes available. The assisted living residence has studios, and one- and two-bedroom suites. Q: How do I apply for admission to a Parker residence? A: You may apply for admission by submitting a completed application and a $75 nonrefundable application fee. Q: Is there an admissions waiting list to be a Parker resident ? A: There may be a waiting period for admission. Upon receipt of your application and $75 fee, your name will be added to the Parker Registry and be confidentially maintained until the need may arise for Parker services. The application process will ask you to select a desired status, either Inactive Waiting List, Active Waiting List for Assisted Living Residence, or Active Waiting List for Nursing Care Residence. Active-status applicants will be contacted by Parker Admissions as rooms become available. Parker is nonsectarian and does not discriminate on the basis of age, race, color, or national origin. Q: How do I change my status from "Inactive" to "Active" on the Parker Registry (waiting list)? A: If you find your need changes at any time, you may contact Parker Admissions by calling these numbers: Parker at River Road and Landing Lane- (732) 545-8330, Parker at Monroe - (732) 992-5200 or Parker at Stonegate - (732) 565-2500 and change from "Inactive" to "Active." Q: How can I determine my status on the Parker Registry (waiting list)? A: Each applicant is assigned a Parker Registry number based on the chronological order in which the application and registration fee are received. Based on this number, Active-status applicants are contacted when a room in the residence of their choice is available. If the applicant is not ready, s/he does not lose his/her place. Q: Can I tour Parker? Appointments are available during the day or evening, on weekdays or weekends. Q: Can I move from one residence to another? A: Yes, you may move from one residence to another as suites become available. Q: Will Parker be affordable? A: Parker is a not-for-profit corporation governed by its own board of directors, all of whom are loyal and interested members of the community. Fees will reflect Parker's tradition of providing the highest standard of care at the most reasonable price. Q: Do you accept payment from Medicare or Medicaid? A: Parker at Somerset is a Medicare- and Medicaid-Certified nursing care residence and post-acute rehabilitation. Parker at Landing Lane, Parker at Monroe, and River Road nursing care residences do not participate in either the Medicare or Medicaid programs. Parker at Stonegate assisted living residence participates in Medicaid. Our Adult Day Centers participates in Medicaid and other community financial programs.